The Wall Street Journal this weekend scored a lot of views with an article on Oxytocin titled, “The Trust Molecule,” by Dr. Paul Zak. But let’s start with that one good point. In discussions about trust, people frequently forget a very simple fact: like tango, it takes two to trust. One party does the trusting, the other party is the one trusted. 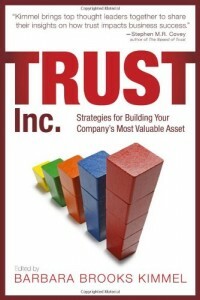 Risk is taken by the one doing the trusting, and the one who is trusted is the source of that risk. 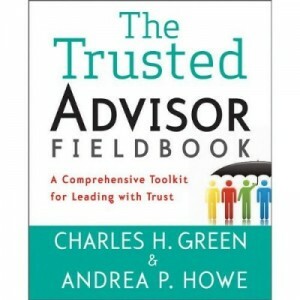 Critically, the interaction between the trustor and the trustee is reciprocal. One influences the other. So right! But where Zak goes wrong is in thinking that by identifying the role of oxytocin, he’s actually explained something. For example, Zak hardly discovered the reciprocal nature of trust. More than half a century ago, Henry Stimson said, “The only way to make a man trustworthy is to trust him.” Before that, Ralpho Waldo Emerson said, “Trust men and they will be true to you.” I doubt either knew of oxytocin. Much more importantly, calling oxytocin an explanation for trust is like saying you can explain water by translating the word into the French eau. Philosophers (and good scientists) have for millennia suggested that good explanations fit certain criteria. A good explanation might put things in a larger context, as Darwin did with evolution. Or it might suggest a causal link, like tying cigarette smoking to cancer, or lack of hand-washing to sepsis in hospitals. Or, it might shed light on motives, as does the ending of any good TV crime drama. What Mr. Zak has done is nothing of the kind. He has merely “translated” pieces of wisdom that humans have known for ages into the language of chemistry. The only relevant question to be asked among these choices is – which is more useful for the task at hand? The idea that prayer can promote connection and caring, for example, is hardly new. I fear that Dr. Zak is but one example of the current faddish approach to things neurological. Putting “neuro-” in front of a topic seems to generate groupie-like behavior in business. Hence we have neuro-marketing, neuro-advertising, neuro-leadership – the list is endless.